Helmet House Inc. announced Taylor Polli as its new account manager for the Sacramento, CA, sales territory and surrounding areas. 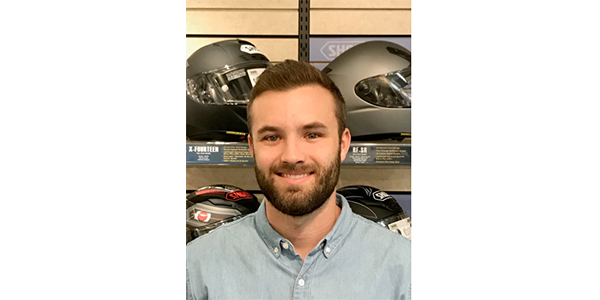 Polli brings a strong range of sales and industry experience in motorcycle retail sales, business development and consultative business-to-business selling and has been hired to help further expand Helmet House Inc.’s dealership service and support. “We are thrilled to welcome Taylor to Helmet House’s sales team,” said Bob Miller, president and co-founder of Helmet House Inc. “Taylor possesses what Helmet House looks for in our account managers — an exemplary work ethic, creative problem-solving skills, dedication to success, and strong, proactive dealer service and support,” Miller said.